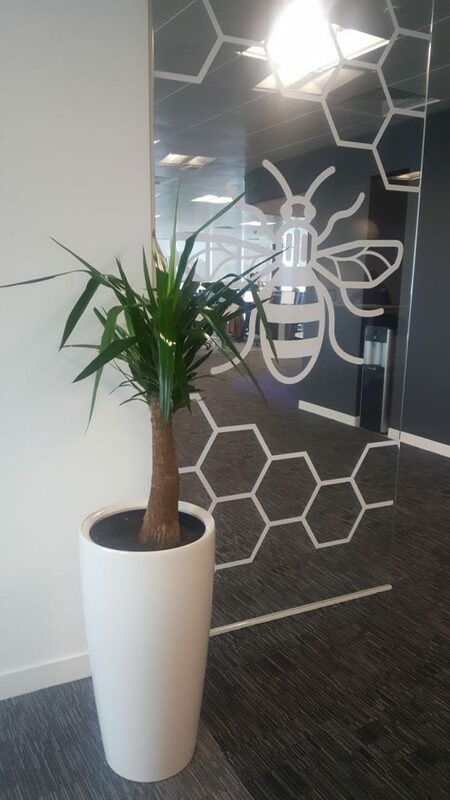 Undimmed in their support for the victims of the Manchester terrorist attack and unwavering in their resolve to stand united with the city in it’s fight against terrorism our valued client Swinton Insurance has included the famous ‘ Manchester Bee’ etched onto a glass screen in tribute. In pride of place in the Embankment building just metres away from the site of the horrific attack remained closed for several days following the tragedy. Thankfully, there was no harm to any of the occupants of the building or to the structure of the property. Embankment 101 stands proudly on the Manchester skyline and affords magnificent 360 degree views around the city with perhaps most notably that of the iconic Manchester Cathedral.